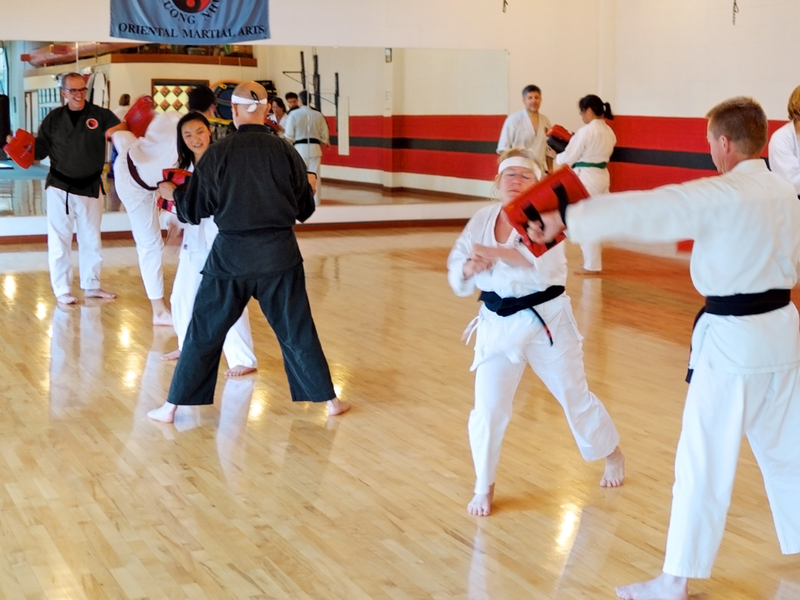 Whether you’re a first-time beginner, or a skilled martial artist with previous training, we invite you to visit us and learn how much you have to gain. Get a great workout that fully engages your body, mind and spirit. Work off stress, fatigue, and aggression in a safe and healthy way. Gain the focus, confidence and satisfaction that come from mastering physical skills. Develop the techniques and inner calm you need to defend yourself if you need to. Cultivate a habit of staying fit and healthy through exercise. 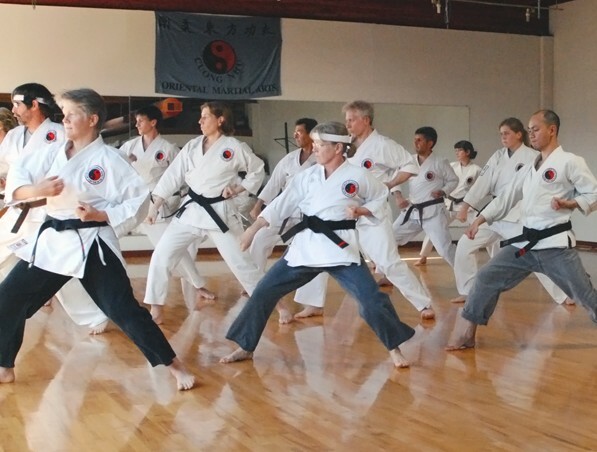 Set and achieve personal goals—whether to lose weight, increase endurance, tone your muscles, or excel at martial arts techniques. Express yourself through a beautiful, powerful, challenging form of art. Meet interesting new people who are pursuing similar goals.. Teens age 15 & up are welcome in the adult class. Those who are younger, and anyone interested in “teens only” training, click here to learn more about teen class. Complete the form below to receive a schedule and more information, and to set up a visit to the dojo. We look forward to meeting and speaking with you.